A type of non-precision instrument approach composed of a series of step-down altitudes, informally known as "dive and drive," remains a point of contention between the FAA and NTSB following the August 2013 crash of UPS Flight 1354 in Birmingham, Alabama. To date, the FAA has refused an outright ban on the technique, despite nearly a decade of pressure by the NTSB. UPS separately says it plans to prohibit the practice in its pilot manuals. In the Birmingham crash, the crew of the Airbus A300-600 freighter had intended to use a more precise non-precision instrument approach technique known as a constant descent final approach (CDFA), but the captain ultimately resorted to a dive and drive approach late in the arrival. The aircraft hit terrain approximately one mile short of the runway, killing both pilots. The NTSB issued 15 recommendations to the FAA following the crash, including one recommendation calling for the agency to prohibit dive and drive approaches, a recurring theme in the NTSB's crash investigations. The NTSB first asked the FAA to "develop and encourage" the use of CDFA approaches at all airports served by commercial carriers after an American Airlines MD-80 struck trees while on a dive and drive approach to Bradley International Airport near Hartford, Connecticut, in 1995. After a Korean Airlines Boeing 747-300 crashed on approach to Guam in 1997 using the same approach technique, the NTSB asked the FAA to address the equipment and training needed for CDFAs. The FAA's response to both recommendations was considered satisfactory and the issues were considered closed. However, a controlled-flight-into-terrain crash of a Corporate Airlines Jetstream 32 turboprop on a dive and drive approach into Kirksville, Missouri, in 2004, prompted an NTSB recommendation to ban dive and drive techniques altogether, a plea that was superseded by the UPS recommendation. The FAA does not agree, stating that while a CDFA is the "preferred method" of accomplishing a non-precision approach, dive and drive use should not be prohibited. "In certain situations, primarily dependent on weather conditions and runway alignment in combination with runway visibility, a dive and drive maneuver could benefit an operator," the FAA wrote in its December 2014 final response to the recommendation, noting that potential problems with the technique are spelled out in an Advisory Circular. "Dive and drive is prudent and safe when done correctly and under appropriate circumstances." Based on the response, the NTSB recently closed the recommendation as "unacceptable action." UPS, however, appears to be heeding the NTSB's advice. Houston Mills, UPS director of safety, said in a December letter to the NTSB that the carrier is in the process of "explicitly prohibiting dive and drive maneuvers" in its manuals. 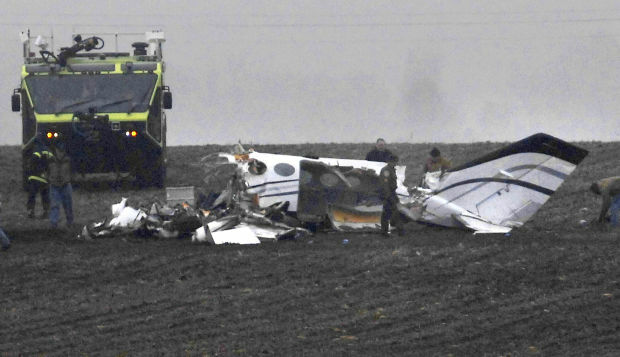 BLOOMINGTON, Ill. (AP) - A private plane returning from the NCAA basketball tournament in Indianapolis crashed in a central Illinois field on Tuesday, killing all seven people on board, including Illinois State University's associate head basketball coach and a deputy athletics director. Rescue personnel found no survivors at the site near the city of Bloomington, and a coroner pronounced the seven occupants dead, McLean County Sheriff Jon Sandage said at a news conference. The plane went down in a soybean field 2 1/2 miles from the Bloomington airport. All seven victims, who were found strapped in their seats, died from blunt force trauma resulting from the crash, said Coroner Kathleen Davis. The journey to Monday night's championship game began with a phone conversation. Scott Bittner, a 42-year-old business owner, got a call from sports bar owner Terry Stralow, 64, asking if he wanted to go to the game. "He said he had an extra ticket and asked him to go," said Terry Wertz, who worked alongside Bittner at a meat processing plant. Wertz said that when Bittner hung up the phone he was "really excited." They took off for the game in a plane that Bittner used regularly for business trips, owned by his father. It was not clear exactly how they were connected with the others on board, but local broadcasters talked about the group as if many of them were well acquainted with one another. Bittner and Stralow were two of the seven killed. Illinois State University President Larry Dietz confirmed in an email to students, faculty and staff that associate head basketball coach Torrey Ward, 36, and Aaron Leetch, 37, the athletic department's deputy director for external relations, also were killed in the early-morning crash. The email was released to media. "Words cannot fully express the grief that is felt in the wake of such a tragedy," Dietz wrote, adding that both men were well-respected and much-loved in the athletics department. "We move between shock and profound sadness." Several players and staff carried through with an optional practice Tuesday afternoon at Redbird Arena. A spokesman said they would not make players or coaches available for comment. The Cessna 414 twin-engine aircraft took off from Indianapolis and crashed just short of the Central Illinois Regional Airport in Bloomington after midnight, the Federal Aviation Administration said. The National Transportation Safety Board was investigating, but there was no initial word on the cause of the crash. News photos from near the scene showed dense fog. The airport was open and all systems, including its runway lighting, were functioning, though the tower had closed several hours earlier and handed responsibility to an air traffic control facility in Peoria. Radar contact was lost moments before the crash and a search was launched when the pilot failed to close out his flight plan. It took about three hours to find the wreckage. NTSB investigator Todd Fox said the plane was cleared to land in fog and rain but appears to have made a turn away from approaching the runway before crashing. It isn't clear why, he said. Fox said he doesn't know if the plane was having problems or the pilot radioed in distress. Its engines caught fire on impact, Fox said. The pilot had flown about 12,000 hours and held an air transport license, which allows a pilot to fly commercial airliners, Fox said. He said the full NTSB investigation is expected to take a year to 18 months. The other victims included Jason Jones, 45, a former basketball and baseball player for Illinois Wesleyan University who worked at Wells Fargo Advisors. "He loved his children and his family more than anything in the world, wonderful man. That's really all I can say right now," said his wife, Lyndsey Jones. The McLean County coroner's office identified the other victims as Stralow, pilot Thomas Hileman, 51, and Andrew Butler, 40, an employee of Sprint. Bittner lived with his wife and two children in Towanda, a small village just outside Bloomington, his co-worker Wertz told The Associated Press. He owned a meat processing plant in Eureka, Illinois, carrying on the family's line of work after his dad established another plant in the small city of Chenoa, where Bittner grew up. "He always told me that he wasn't my boss, that I didn't work for him, I worked with him," said Wertz, who has worked at Bittner's Meat Co. for 15 years. "If I needed anything, he'd do anything for you," Wertz said through tears. The plant butchers livestock, including beef, pork, lambs and goats. The aircraft was registered to Make it Happen Aviation LLC of Towanda, Illinois. A Cessna 414 crashed while on approach to the Bloomington-Central Illinois Regional Airport, Illinois. Seven people, two of whom worked for the Illinois State University athletics department, were killed. They were flying back from the NCAA Basketball Championship in Indiana. Peoria controllers cleared the Cessna for an instrument approach at CIRA, which does not have controllers after 10 p.m. The aircraft was on approach to runway 20 when it turned left. The last Flightaware track point shows the aircraft at 1900 feet at a ground speed of 77 knots. After determining the plane had not landed at the airport, several local agencies helped search the area. About three hours later, the wreckage was located in a farm field about one mile northeast of the airport near Rt. 9 and McLean County Road 2100 East. NTSB say there were low clouds, fog and maybe some light rain at the time. TOKYO (Reuters) - A Japan Airlines jetliner with 228 passengers was forced to turn around for an emergency landing in Tokyo on Wednesday after the aircraft's right engine shut down during a flight to the northern Hokkaido island, an airline spokesman said. The Boeing 777, powered by Pratt & Whitney engines, landed safely at Tokyo's Haneda airport, the spokesman said, with no injuries reported. The cause of the engine shutdown was as yet unknown, he added. Two Kunsan Air Base fighter jets made an emergency landing Tuesday at a South Korean commercial airport after one experienced a sudden engine malfunction, 7th Air Force officials said Wednesday. The F-16 jets landed at Muan International Airport at around 3:30 p.m., officials said. The jets were training over Jeolla-do, in South Korea's southwest, when the malfunction occurred an hour after they took off from Gunsan Airport, Air Force officials said. The pilots landed safely and the planes emitted no toxic substances while landing, officials said. Some media accounts reported a fuel leakage; however, Air Force officials said Wednesday that the planes released fuel as a standard precaution for an emergency landing. U.S. Forces Korea is conducting an investigation into the incident, officials said. The U.S. Federal Aviation Administration upgraded India's safety ranking, a year after the rating was cut, following corrective action to address shortcomings, the U.S. government said in an e-mailed statement. The FAA upgraded India's rating to Category 1 from Category 2, according to Wednesday's statement from the U.S. Embassy in Delhi. An FAA team visited India last month after reviewing India's aviation regulator in December, according to the statement. The move comes after a series of fatal crashes in 2014 focused attention on air safety in Asia. The upgrade means Indian airlines can expand their service to the U.S. and enter into code-share agreements with U.S. carriers. State-owned Air India Ltd. and Jet Airways (India) Ltd. currently are the only two Indian airlines that offer service to the U.S.
"This is positive for Jet Airways, as their U.S. operations will be executed more aggressively," said Kapil Kaul, the South Asia chief executive officer for the CAPA Centre for Aviation. "However, India's safety oversight regime needs a fundamental restructuring, as growth will bring in more challenges." Air India isn't expected to increase direct operations to the U.S. in the near term, Kaul said. 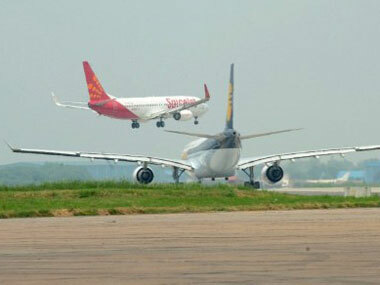 Jet Airways and India's Directorate General of Civil Aviation said they couldn't immediately comment on the FAA move. A spokesman for Air India didn't answer calls to his cellphone Wednesday. The FAA cut India to Category 2 in January 2014, after it found there weren't enough officials to ensure the safe operation of flights. On Tuesday, Indian Aviation Secretary V. Somasundaran said the agency in charge of ensuring security at Indian airports remains "badly understaffed," with just one or two people manning offices in some regional airports. "The United States Government commends the Government of India for taking corrective action to address the safety oversight issues," U.S. Transportation Secretary Anthony Foxx said in the statement. The upgrade comes amid surging air travel demand in India, with the number of domestic travelers expected to grow 6.9 percent a year to some 215 million by 2034, according to estimates by the International Air Transport Association. The country will need 1,290 new planes in the two decades to 2032, at a total value of some $190 billion, to meet the surging travel demand, Airbus Group NV has said. Last year's downgrade -- which put India on par with Zimbabwe and Indonesia -- came after a December 2012 audit by the U.N.'s International Civil Aviation Organization identified "deficiencies" in India's aviation oversight, the FAA said last year. "The FAA audit brought up critical gaps," Mark D. Martin, chief executive officer of Martin Consulting, an aviation consulting firm, said by e-mail. "We're in 2015, its high time the Indian government took on some of the pressing issues that continue to plague growth in the Indian civil aviation sector." On April 8, 2015, in New Delhi, India, U.S. Department of Transportation Secretary Anthony Foxx announced that the Government of India, with the assistance of The Wicks Group, a U.S. based aviation consulting and legal firm, obtained the International Aviation Safety Assessment (IASA) Category 1 rating. India was awarded this Category 1 safety rating by the U.S. Department of Transportation's Federal Aviation Administration (FAA) following an FAA IASA assessment in December 2014, and a subsequent follow-up visit in March 2015. Under the IASA program, the FAA assesses whether a foreign country's oversight of its air carriers (that operate, or seek to operate into the U.S. or codeshare with a U.S. air carrier) complies with ICAO international aviation safety standards. The FAA maintains two ratings for the status of a country's safety oversight compliance. A Category 1 rating means the FAA determines that the country demonstrates that it meets the ICAO standards for each of the critical elements of civil aviation safety oversight. A Category 2 rating is assigned when the FAA determines that the country does not comply with ICAO standards. This Category 1 status means air carriers in India can now expand their existing service, apply for new service to the U.S., and code-share with U.S. carriers. The U.S. Trade and Development Agency (USTDA) funded The Wicks Group's assistance to India DGCA in this project. In April 2014, The Wicks Group was selected by the DGCA to be the beneficiary of USTDA funding. The Wicks Group and DGCA began working together in June 2014. The USTDA funding demonstrated the U.S. Government's commitment to help India successfully achieve the internationally recognized safety standard. 3. Training of newly hired operations inspectors and existing inspectors as needed. 5. Organizational structure improvements so as to ensure that technical personnel carry out technical tasks as required by international standards and norms. The Wicks Group consultants have assisted six foreign civil aviation authorities (CAAs) with achieving or maintaining an existing Category 1 rating in the last decade, including four Category 1 achievements in the last three years. The Wicks Group also provides ongoing Category 1 sustainment services to help CAAs ensure they maintain ICAO-compliant policies, procedures, and practices over time. In addition to these services, The Wicks Group regularly assists foreign air carriers with obtaining necessary certifications to operate to the United States. JAKARTA (Reuters) - An Indonesian man took a free ride in the wheel well of an aircraft this week, surviving a high-altitude flight of nearly two hours in thin air and sub-zero temperatures. Mario Stevan Ambarita, 21, was spotted staggering around the tarmac at Jakarta airport on Tuesday, shortly after the Garuda Indonesia domestic flight landed from Sumatra Island to the north. 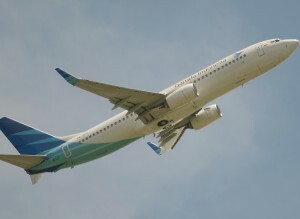 "The case was quite a surprise to us," Garuda CEO Arif Wibowo told Reuters. The stowaway scaled a 2.5-metre fence to reach the aircraft, where he tucked himself into the rear wheel housing, media said. He collapsed after the flight and was taken to hospital with a bleeding ear and other light injuries before spending the night in a police cell. "He said he wanted to meet Jokowi," E Sutrisna, a spokesman for Soekarno-Hatta Airport Police told Kompas TV, referring to Indonesian President Joko Widodo by his nickname. According to local media reports, Ambarita had spent up to a year studying aircraft taking off and landing, had learned from the Internet how to hide in the wheel well and had made an unsuccessful attempt in the past to hitch a free plane ride. The icing of engine power management sensors triggered the stall and fatal crash of Air Algerie flight AH5017 in northwest Africa last July 24, according to an investigation. French air accident investigation agency BEA and Mali's Commission d'Enqu�tes Accidents et Incidents de l'Aviation Civile issued the update as the investigation proceeded. A final report is due in December. Air Algerie Flight AH5017 from Ouagadougou, Burkina Faso, to Algiers was being operated by a Spanish wet-lease company Swiftair on behalf of the North African flag carrier with a Boeing MD-83. 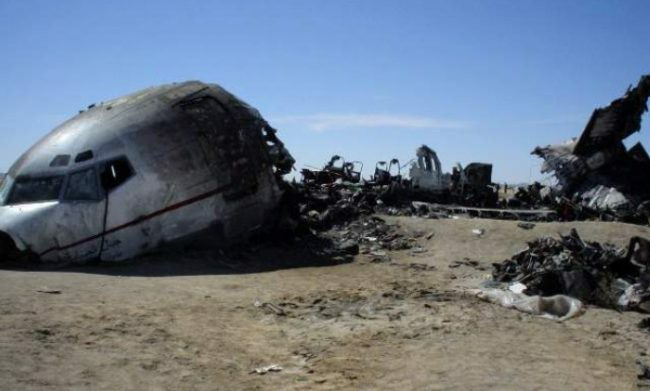 It crashed in the Gossi region of northeastern Mali, killing all 110 passengers and six crew. The flight data recorder has yielded usable information, but the cockpit voice recorder is unreadable. The aircraft, EC-LTV, took-off at 01:15 local and climbed uneventfully to its cruise attitude of 31,000 ft., with the crew making several heading changes to fly around a storm cell. The autopilot and the autothrottle were engaged. The update stated that, about two minutes after leveling off at 31,000 ft., engine pressure ratio, the main parameter for engine power management, "became erroneous on the right-hand engine and, about 55 seconds later, on the left engine. "This was likely due to icing of the pressure sensors located on the engine nose cones. If the engine anti-ice protection system is activated, these pressure sensors are heated by hot air. "Analysis of the available data indicates that the crew likely did not activate the system during climb and cruise." The false EPR information transmitted to the autothrottle led it to reduce the engines' thrust and the aircraft slowed. To compensate, the autopilot commanded an increase in pitch attitude to maintain height. Speed dropped from 290 knots to 200 knots over a period of around five minutes and the angle of attack increased until the aircraft stalled. About 20 seconds after the beginning of stall, the autopilot was disengaged. The aircraft rolled suddenly to the left until it reached a bank angle of 140 degrees, and a nose-down pitch of 80 degrees. The crew did not initiate any stall recovery maneuvers. The investigators add that at least two similar events had occurred in the preceding two years-one involving another of Swiftair's MD-83s-but with no serious consequences. This background, the report stated, "should serve as the basis for future publication of corrective measures aimed at assisting crews in identifying and responding to similar situations." Further work is continuing, in particular to analyze the flight parameters to complete the scenario described above; possible crew reactions; and the training and follow-up of Swiftair crew. LOUISVILLE, Ky. (WDRB) -- Disappointing news for this year's Thunder Over Louisville Air show. 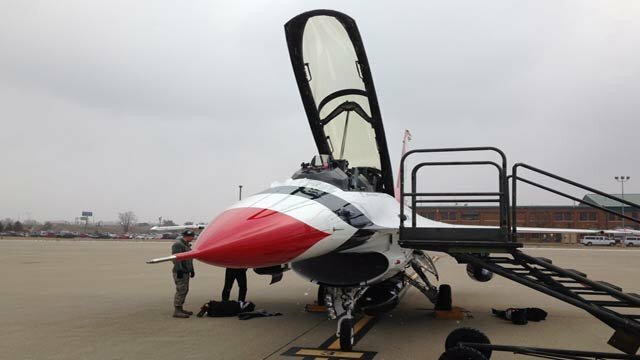 The Kentucky Derby Festival says the United States Air Force Thunderbirds will only be able to have two jets in the show. They will not be performing an hour-long aerobatic demonstration with six jets as scheduled. That's because the FAA re-evaluated approval due to "obstacles" in the area. KDF CEO Mike Berry says it's a disappointment, but added: "We appreciate the commitment that they made because I guess if they wanted to they could have said, 'hey we're not coming at all ... but that's not the case. The Thunderbirds 15-person crew will still make public appearances. The Golden Knights Paratroopers, the Kentucky Air National Guard's C-130, and the U.S. Marines Harrier demonstration will still be a part of the show. The Federal Aviation Administration (FAA) determined that an aerobatic box that is 4,000 feet long by 1,800 feet wide, up to an altitude of 16,000 feet will provide a safe environment for Thunder Over Louisville spectators and airshow performers. Aerobatic pilots will remain in the airbox, and avoid the new bridge construction that is about � nautical mile east of the eastern end of the aerobatic box, the K&I Railroad bridge, which is west of the box, and the 2nd Street/Clark Memorial Bridge, which is east of the box. Also, aerobatic aircraft maneuvers will directed away from spectators, who will be a minimum of 1,000 feet from the edges of the aerobatic box. The FAA closely reviews all airshow applications to ensure that the proposed operation can be conducted safely. Airplane's engine stopped working while at 1,000 ft.
A 2014 Ford Fusion was damaged following an impact with a small airplane which was making an emergency landing on a highway. It happened towards the end of last month in northwest Minnesota when 57-year-old David Gowan flying a 1979 Mooney M20K airplane at a 1,000 ft. altitude noticed the engine stopped working so he had no other way but to do an emergency landing on a highway. He turned the airplane around and detected an almost clear path on the highway so he started the landing maneuvers. According to an eyewitness, the airplane's propellers hit a 2014 Ford Fusion belonging to Clay County Health Department and driven by a woman named Corey Ernst who was doing about 65 mph (105 km/h) before the collision. Immediately after the impact, the mid-size sedan came to a stop on the side of the road while the plane managed to land in a residential driveway without causing any other damages. All those who were involved in the peculiar accident escaped without any injuries. Plans for a hypersonic passenger jet to cut the long-haul to the Far East to three hours or less have been in the pipeline for nearly a decade. Super-fast planes that travel at several times the speed of sound were once confined to the pages of science-fiction novels but experts are working towards making them science-fact. British company Reaction Engines is testing hypersonic aircraft which could travel at speeds of Mach 2.5 all the way up to Mach 5. And Nasa is reportedly working on the next generation of passenger planes, looking to create sleek and safe craft to combat the current ban on supersonic flight over land. Would you fly on a hypersonic aircraft? In 2010, the Australian military tested potential hypersonic flights with limited success. Although they mastered take-off and flight speeds of 5840kmph as the jet hurtled towards the stars, it broke up on the way back down to earth and crash landed 10 minutes after launching. Such speeds would see the journey from London to New York cut to just 58 minutes, while a jaunt to Japan would be around three hours. While proposals are currently many and varied, delivering the technology is a long way off. MOUNTAIN VIEW, Calif. - Mounting evidence that the co-pilot crashed a Germanwings plane into a French mountain has prompted a global debate about how to better screen crewmembers for mental illness and how to ensure that no one is left alone in the cockpit. But among many aviation experts, the discussion has taken a different turn. 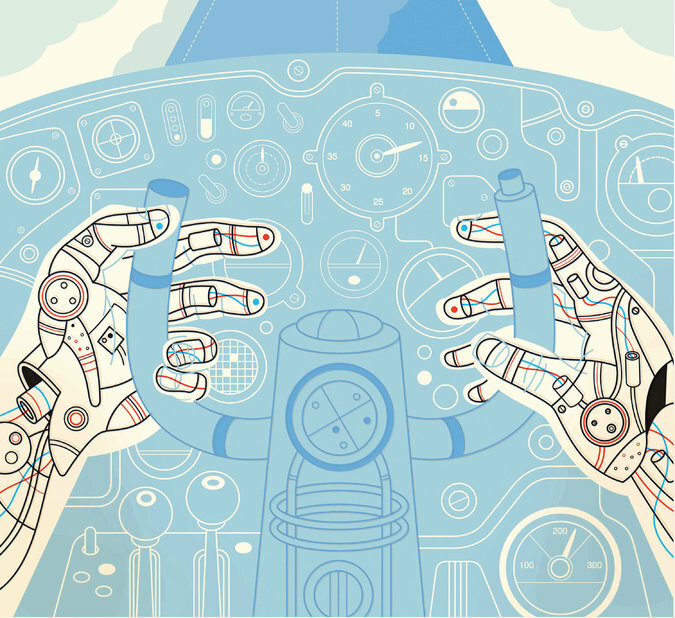 How many human pilots, some wonder, are really necessary aboard commercial planes? Advances in sensor technology, computing and artificial intelligence are making human pilots less necessary than ever in the cockpit. Already, government agencies are experimenting with replacing the co-pilot, perhaps even both pilots on cargo planes, with robots or remote operators. "The industry is starting to come out and say we are willing to put our R&D money into that," said Parimal Kopardekar, manager of the safe autonomous system operations project at NASA's Ames Research Center. In 2014, airlines carried 838.4 million passengers on more than 8.5 million flights. Commercial aviation is already heavily automated. Modern aircraft are generally flown by a computer autopilot that tracks its position using motion sensors and dead reckoning, corrected as necessary by GPS. Software systems are also used to land commercial aircraft. And commercial planes are becoming smarter all the time. "An Airbus airliner knows enough not to fly into a mountain," said David Mindell, a Massachusetts Institute of Technology aeronautics and astronautics professor. "It has a warning system that tells a pilot. But it doesn't take over." Such a system could take over, if permitted. Already, the Pentagon has deployed automated piloting software in F-16 fighter jets. The Auto Collision Ground Avoidance System reportedly saved a plane and pilot in November during a combat mission against Islamic State forces. The Pentagon has invested heavily in robot aircraft. As of 2013, there were more than 11,000 drones in the military arsenal. But drones are almost always remotely piloted, rather than autonomous. Indeed, more than 150 humans are involved in the average combat mission flown by a drone. This summer, the Defense Advanced Research Projects Agency, the Pentagon research organization, will take the next step in plane automation with the Aircrew Labor In-Cockpit Automation System, or Alias. Sometime this year, the agency will begin flight testing a robot that can be quickly installed in the right seat of military aircraft to act as the co-pilot. The portable onboard robot will be able to speak, listen, manipulate flight controls and read instruments. The machine, a bit like R2D2, will have many of the skills of a human pilot, including the ability to land the plane and to take off. It will assist the human pilot on routine flights and be able to take over the flight in emergency situations. A number of aerospace companies and universities, in three competing teams, are working with Darpa to develop the robot. The agency plans for the robot co-pilot to be "visually aware" in the cockpit and to be able to control the aircraft by manipulating equipment built for human hands, such as the pilot's yoke and pedals, as well as the various knobs, toggles and buttons. Ideally, the robots will rely on voice recognition technologies and speech synthesis to communicate with human pilots and flight controllers. "This is really about how we can foster a new kind of automation structured around augmenting the human," said Daniel Patt, a program manager in Darpa's Tactical Technology Office. NASA is exploring a related possibility: moving the co-pilot out of the cockpit on commercial flights, and instead using a single remote operator to serve as co-pilot for multiple aircraft. In this scenario, a ground controller might operate as a dispatcher managing a dozen or more flights simultaneously. It would be possible for the ground controller to "beam" into individual planes when needed and to land a plane remotely in the event that the pilot became incapacitated - or worse. What the Germanwings crash "has done has elevated the question of should there or not be ways to externally control commercial aircraft," said Mary Cummings, the director of the Humans and Autonomy Laboratory at Duke University and a former Navy F-18 pilot, who is a researcher on the Darpa project. "Could we have a single-pilot aircraft with the ability to remotely control the aircraft from the ground that is safer than today's systems? The answer is yes." o see fewer humans guiding planes on the ground, too. This month, in a research laboratory here, agency officials ran a simulation of new software intended to bring more automation to the nation's air traffic control system, specifically to help with congestion and spacing of aircraft. Last month at the NASA Ames facility, retired air traffic controllers and commercial pilots sat at air traffic control terminals and helped scientists test the system as it simulated air traffic arriving in Phoenix. The software, known as Terminal Sequencing and Spacing, can coordinate the speed and separation of hundreds of aircraft simultaneously to improve the flow of planes landing at airports. Ultimately, NASA says, it may be able to increase the density of air traffic in the nation's skies by as much as 20 percent - with fewer human controllers. Indeed, the potential savings from the move to more autonomous aircraft and air traffic control systems is enormous. In 2007, a research report for NASA estimated that the labor costs related to the co-pilot position alone in the world's passenger aircraft amounted to billions of dollars annually. Automating that job may save money. But will passengers ever set foot on plane piloted by robots, or humans thousands of miles from the cockpit? "You need humans where you have humans," said Dr. Cummings. "If you have a bunch of humans on an aircraft, you're going to need a Captain Kirk on the plane. I don't ever see commercial transportation going over to drones." In written testimony submitted to the Senate last month, the Air Line Pilots Association warned, "It is vitally important that the pressure to capitalize on the technology not lead to an incomplete safety analysis of the aircraft and operations." The association defended the unique skills of a human pilot: "A pilot on board an aircraft can see, feel, smell or hear many indications of an impending problem and begin to formulate a course of action before even sophisticated sensors and indicators provide positive indications of trouble." Even at NASA's recent symposium, experts worried over the deployment of increasingly autonomous systems. Not all of the scientists and engineers who attended believe that increasingly sophisticated planes will always be safer planes. "Technology can have costs of its own," said Amy Pritchett, an associate professor of aerospace engineering at the Georgia Institute of Technology. "If you put more technology in the cockpit, you have more technology that can fail." The FAA now recognizes that American Airlines and US Airways - which have flown under separate operating certificates from the FAA - can legally operate as one airline under a single certificate. American Airlines on Wednesday completes another step toward eliminating the US Airways name as a result of their merger in 2013. Since then, the two carriers have flown under separate operating certificates from the Federal Aviation Administration. Now, the FAA recognizes that they can legally operate as one airline under a single certificate. While it's a milestone for Fort Worth-based American, most passengers won't see any change. However, the certificate means American can continue with key integration steps that will lead to changes passengers will notice later. "Think of it as the ultimate enabler for integration," said Ed Bular, a senior vice president in charge of American's effort to obtain a single operating certificate. "The rest of the airline really cannot integrate until the airline officially becomes one." For example, after the FAA gave Dallas-based Southwest Airlines and AirTran Airways a single operating certificate in March 2012, the combined carrier began repainting and revamping AirTran's aircraft into Southwest's colors and retraining AirTran workers. The two airlines merged in 2011. American is "the world's largest airline and the operation is very large and complex," said Bular, who has been through four airline mergers. Some 700 employees worked on the 18-month-long single operating certificate process, he said. Now, most of American and US Airways' flight, maintenance and dispatch procedures will be the same, but some operating policies and procedures will remain separate for a while, officials said. As of Wednesday, both airlines will use the "American" call sign when pilots communicate with air traffic controllers. US Airways' last "Cactus" flight was scheduled to leave London Heathrow Airport at 3 a.m. Wednesday and land in Philadelphia around 11:40 a.m. the same day. US Airways inherited "Cactus" from America West Airlines in its 2005 merger. A single operating certificate was one of the major goals for American this year in its integration with US Airways. It also just merged US Airways' frequent flier members into its AAdvantage loyalty program. The two airlines will move to a single reservations system this fall. They will move to a single website at the end of the year. All of American and US Airways' planes are being repainted in a process that will last more than a year. Next year, American plans to roll out new employee uniforms. Last month, its pilots' union voiced concerns about the designer outfits tested by 500 employees. The airline is incorporating the feedback into a final product, spokeswoman Andrea Huguely said. When Steve Wathen and his friend Dan Kiser, both pilots, started to organize days of immersion in aviation, they didn't think their Youth Aviation Adventure Program would be offered around the country or get partnered with one of the biggest universities in the U.S.
Wathen, chairman and co-founder of the Youth Aviation Adventure Program, was at Ohio State on Tuesday to sign a memorandum of understanding with the university's new Career Eagle program. This memorandum is a partnership agreement that will allow the program to expand to reach a broader audience nationwide. David Williams, dean of the College of Engineering, also signed the memorandum on behalf of OSU during the meeting at Hitchcock Hall. The Career Eagles Aviation Initiative, a partnership of OSU, the Experimental Aircraft Association and the Austin E. Knowlton Foundation, aims to promote careers in the field of aviation to middle and high schools in Ohio and throughout the country, according to the Career Eagles' website. "The mission of Career Eagles is ... to promote and support the aviation industry by providing resources and programming that will develop and engage the next generation of pilots," said Shannon Morrison, Career Eagles program coordinator at the Center for Aviation Studies. "Career Eagles has become a place where parents and schools can go and get information in aviation careers. We offer our own programming, but we are also becoming a major resource for parents," Morrison said. The program tries to raise awareness for careers in aviation, as well as address a nationwide and worldwide shortage of pilots through outreach to children. Global growth in aviation, especially in Asia and India, has led to an increased demand for pilots, said Seth Young, director of the Center for Aviation Studies at OSU. Additionally, there is a "decrease in the number of pilots," he said. This decrease is fueled by a wave of retirements of pilots trained in the 1960s and 1970s, as well as less interest in the field since the 1970s, Young said. Many young people "don't see (aviation) as a viable career" because of unstable airlines or reports in the media of relatively low pay, Young said. Additionally, he said the required experience to work as commercial pilot increased from 250 flight hours to 1,500 hours as a result of new Federal Aviation Administration regulations. Fewer young pilots are willing to go that far, he said. The shortage of pilots has already resulted in canceled flights and higher airfares, Young said. "Our goal is to contribute to increasing the number and quality of pilots," he added. Austin Knowlton, an OSU graduate in architectural engineering in the class of 1931, created the Knowlton Foundation "to support higher education in areas of his interest," Young said. Young added that Career Eagles was developed through subsequent discussions between the Knowlton Foundation and OSU. 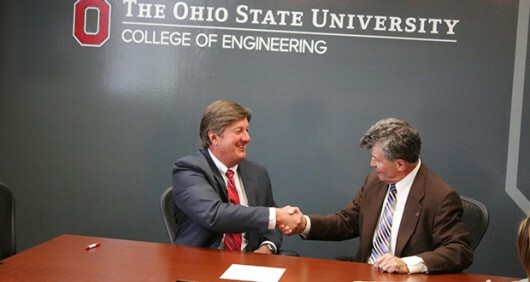 The foundation was "proud to continue to support Ohio State," said John Lindberg, a trustee of the Knowlton Foundation who represented the foundation at Tuesday's signing. "Aviation was one of Mr. Knowlton's passions, together with OSU," he said. The Knowlton Foundation provided the funding for the Career Eagles Aviation Initiative. The Knowlton Foundation already has a footprint on OSU's campus, most notably through the Knowlton School of Architecture. The curriculum of the Youth Aviation Adventure program was developed with the help of OSU's College of Education before being exported to other airports and cities, Wathen said. It typically consists of a five-hour program, usually held on a Saturday once or twice per year, offered for free. "Our goal is to reach kids," Walthen said, adding that everyone in the program is a volunteer. 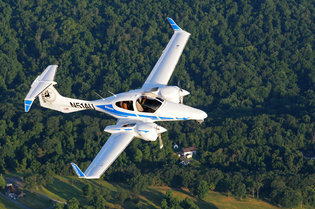 Through the partnership, the Youth Aviation Adventure hopes to further develop its academic reputation, Wathen said. OSU, on the other hand, hopes to increase the reach of its Career Eagles program though the existing programs by Youth Aviation Adventure in about 30 states and, ultimately, increase awareness for the aviation program at OSU, he added. Through the memorandum of understanding, Career Eagles and Youth Aviation Adventure will "be able to share resources," such as curriculums or information on student participation, Morrison said. Career Eagles also offers scholarships, Morrison said. Without this kind of pipeline, "all education and research is useless," Williams said. The program "is not necessarily only trying to recruit students to attend Ohio State. It has a much larger purpose of tying to get students in aviation generally," Morrison said. Still, Morrison added, "it does help get the word out there that Ohio State does have an aviation program and, hey, look, they do this interesting, innovative thing for the industry." OSU "couldn't stand alone to supply the nation's pilots," Young said. "(It is) more important to get (children) interested."